Who can forget (as try as we might) the early '00s when Avril Lavigne was the Queen of Angst? Or, let’s be honest, Angst Lite. Despite whatever Avril was complaining about in her signature song, it was a simple time, a time when your biggest problem was having your mom refuse to drive you to the mall. So as we venture into adulthood (or something like it), it’s definitely super weird to listen to old school Avril Lavigne in 2016. Not necessarily bad-weird, but definitely not necessarily good-weird, either. Let’s face it. history has not been kind to Avril. 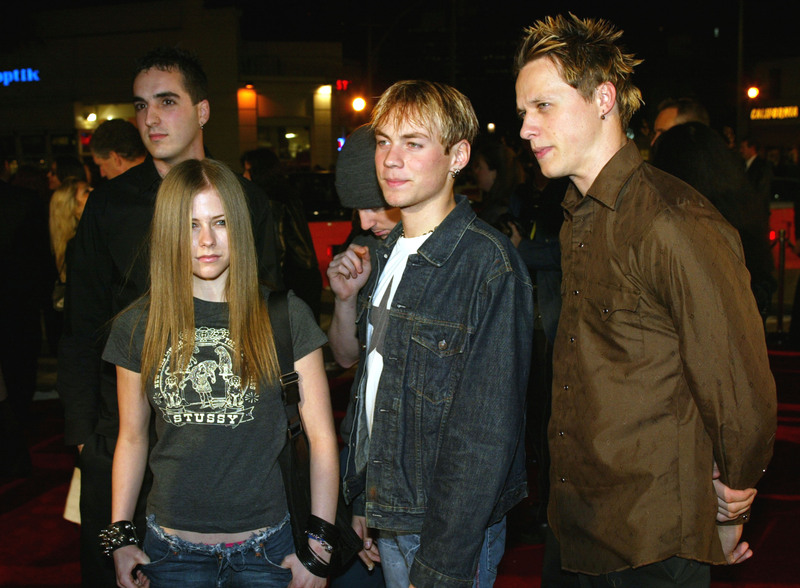 Actually, if memory serves history wasn’t particularly kind of Avril even when it was the present. It is a very precarious situation to find yourself a raccoon-eyed teenager pop-punk teenager in the public eye. It was hard enough to be that in the private eye, without a record deal. And I’m sure it’s hard for her to be that now even though she’s technically, you know, a 31-year-old woman. You know what, Avril wants him to take off all his preppy clothes, but maybe this is just who he is now. Like, maybe the skater boy thing was just a phase, because by the second half of eighth grade you're shedding your Hot Topic skinny jeans for something else. Like I hate to be such a Charlotte about it, but that's just obvious. 3. Did She Rhyme Dead With Dead? Meanwhile, on the side of a faraway subculture, it loudly becomes clear that she isn't as punk as she seemed when you were 11. All I know is that when I wore ties over tank tops, it wasn't making me super popular. 6. Girl Seems A Little Bit Too Trusting About Getting In With Strangers In "Damn Cold Night"
You just don't leave with someone because it's cold outside, my God. 7. Didn't I See This Lyric On A Livejournal Icon Somewhere? I think it belonged to AlkalineTrio_666, but it could've also been xXAlkalineTrio666Xx. 8. Wait. Wait Wait Wait Wait Wait. Is She Rapping Here? Although, to be fair, that was probably a fine thing to brag about in the early 2000s. 10. "Mobile's" Actually Pretty Good? ...yeah, it's actually pretty good. In terms of aging, it's like the Olive Garden breadsticks of Let Go. I was really only offended on the awkward guitar playing in her music videos. 12. "WAIT A MINUTE, WHY AM I SOBBING RIGHT NOW?!" OK, but honestly guys? If you're going to retread these waters, do not rewatch the music video for "I Miss You."